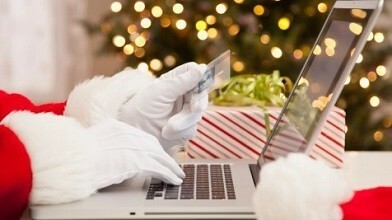 Home » Posts tagged "holiday shopping"
The National Retail Federation estimates that $602.1 billion will be spent on holiday shopping in 2013, a 3.9 percent increase from last year. Please help us spread the word by sharing our holiday posters. The holidays are finally here! And for Julie Holowitz at Virtu Chicago, it truly is “the most wonderful time of the year.” Thanks to customer and vendor relationships that she cultivates year-round, Julie knows exactly what to keep in stock to make holiday shopping easy for her clients in the Chicago area as well as her online followers. A new movement called Independent We Stand is taking to the net this holiday season with a message about why consumers should spend more of their gifting dollars with locally owned retailers.